There are not many people in life who get to do the thing they love for a living, and cooking has always been my passion. 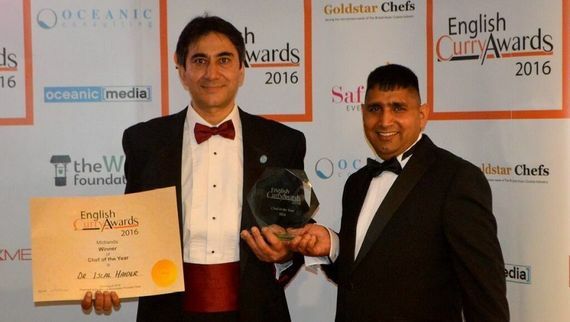 Now, I run Old Hall Restaurant, Shrewsbury’s first Persian inspired restaurant, and I’m able to share my love of Persian insprired cuisine with everyone. Ever since I first came to Britain and became a highly qualified doctor, I wanted to cook for others. These dreams were finally realised when I acquired the restaurant in 2009. Having swapped my doctor’s coat for chef’s whites, I couldn’t be happier with the way my cooking has become renowned around the area. I have won awards and rave reviews, and even appeared in the MasterChef Live Challenge at the BBC Good Food Show 2011 in Birmingham.. I am very enthusiastic about Persian inspired cuisine and it’s been great fun these past few years to bring those flavours to Shropshire. I always cook from the heart and keep it simple, and yet the results are amazing; to look at, to smell, and to taste. It’s full of pleasant surprises! Contact me today with any questions about my unique take on Persian inspired cuisine, or to book a table in Shrewsbury, Shropshire.